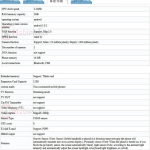 The HTC One M9e will be a new global variant of the HTC One M9+. The handset just received its certification from TENAA and will most likely be unveiled alongside the HTC Butterfly 3 on September 29. The HTC One M9e will be a slightly downgraded version of the One M9+, but it will be available in a large range of countries. The handset features a 5-inch full-HD display, a MediaTek MT6795 octa-core processor clocked at 2.2GHz, 2GB of RAM, a 13MP rear-facing camera, a 4MP ultrapixel camera on the front side, 16GB of internal storage space and Android 5.0.2 pre-loaded. It steps down a notch in nearly every category of specifications however the new variant will feature 4G LTE connectivity. 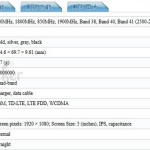 The design will be mainly the same as the One M9+, in addition, the M9e will boost the exact same dimensions. According to the handset’s TENAA certification, it will come in a variety of colors including gold, silver, grey and black. As of now, there is no word on pricing nor availability. We should find out everything in 3 days time.